Paradigm® Blog | News & Updates: Paradigm's CES 2010 Party was a Hit! Paradigm's CES 2010 Party was a Hit! Paradigm hosted it's first ever Dealer & Press Event at CES 2010 and it was a tremendous success! The event attracted close to 200 CES attendees and garnered praise from both press and Paradigm dealers who received the exclusive invite. 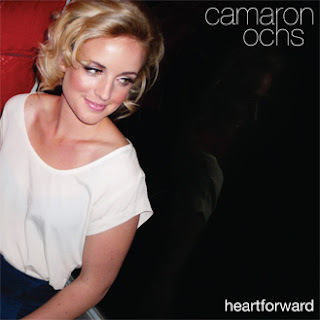 Performing at the event was recording artist Camaron Ochs who played an hour long set off her debut album Heartforward released on January 23rd. Camaron charmed the audience with a refreshing blend of dramatic vocals and vibrant acoustic guitar. Stay tuned for video clips from the event! Hailing out of Oakland, California, Camaron Ochs' blend of folk, indie and pop is a powerhouse of heartwarming and heartbreaking melodies that are irresistible to anyone within earshot. Now available on iTunes, Click here to preview and download Heartforward!